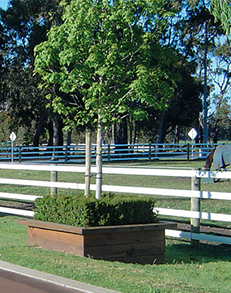 The Horserail® system of fencing has been being used in Australia now for some 18yrs! Ben Duncan first stumbled upon this amazing fencing system in America when looking for a safer cost effective fencing system for his fathers thoroughbred stud back in 1993. After spending time with the manufactuer/inventor of the product (John Wall) at his Pennsylvanian factory and on many jobs in the surrounding areas was instantly converted. Made with Patented Horserail technology with premium virgin grade polyethylene and a super strong steel core, making it a safe, secure, and durable alternative to standard horse fencing. It is also the longest lasting plastic fencing available in Australia having replaced all other types inc PCV and other plastic derivatives since coming into Australia. 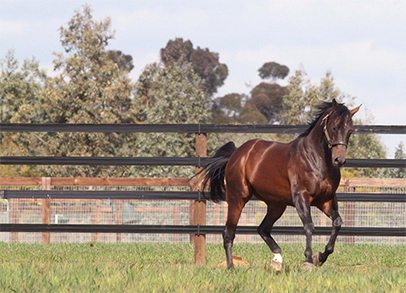 Since bringing this wonderful fencing system into Australia, Horserail Australia has supplied to many of the largest Throughbred establishments in the country and also a large number of Vetinanary clinics. From a small day yard to the largest of farms there is a solution for you. Ideal for arenas, roundyards, day yards, paddocks, pastures, tracks, and gallops with its patented spooler and buckle system, Horserail is easy to install, significantly reducing installation costs and time and it can be moved with no trouble if needed making it an ideal permanent or moveable horse fencing solution. 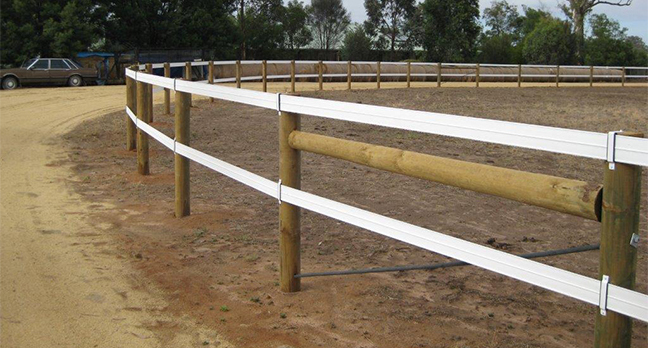 Horserail fencing is impact resistant and won’t break, splinter or warp. With its genuine 20 – 30 year limited manufacturers warranty, Horserail is maintenance free with NO painting required and is available in Black, and white.